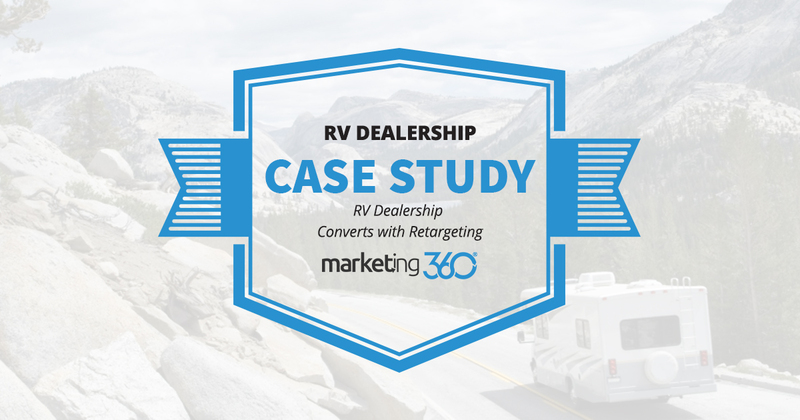 This Colorado RV dealership gained website conversions and sales when they implemented retargeting ads. Here’s the breakdown. People who sell RVs love the “one call close”. Somebody walks on the lot for the first time and they leave – with a 30K RV! They also know this is pretty rare. 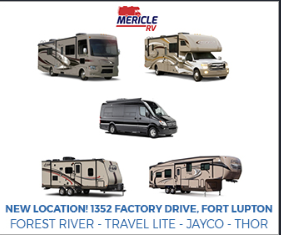 RVs are a considerable investment, so people take their time (years, in some cases) researching and preparing to buy their dream RV. These long sales cycles are the reason we developed retargeting ads. These are the ads that display to people on Google and social media after they’ve visited your website. They keep your brand in front of potential buyers, offering a subtle hint for them to get things on track and start planning their summer camping trip. This Marketing 360® client discovered that retargeting – with just a straightforward ad – made a big difference in their online lead-generation campaigns. In fact, retargeting turned out to be the channel with the highest conversion rate. The red area shows when the retargeting ads campaign started, with a very clear, coinciding increase in conversions. Often, we encourage businesses to have a stronger call to action or offer in their ads, but this shows how just a branded reminder can also be effective. Retargeting is a type of sale persistence. It creates touches and reminders. It drives people back to this website, and that traffic turns into additional calls and inquiries. It keeps people in the sales funnel, which – of course – results in more sales. With a cost per conversion of less than $20, all it takes is one sale to cover the cost of this marketing tactic forever. Nice way to get ROI from your marketing. Learn more about designing retargeting banner ads. Learn more about auto dealership marketing.